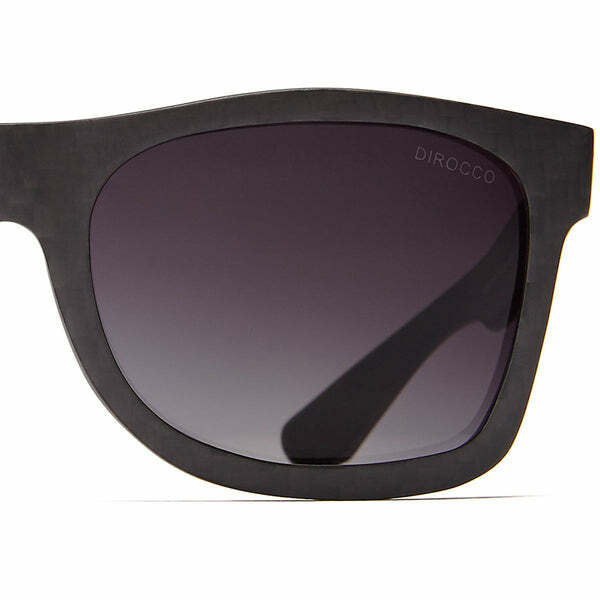 We've teamed up with the folks at DiRocco Eyewear to bring you some of the coolest shades out there. 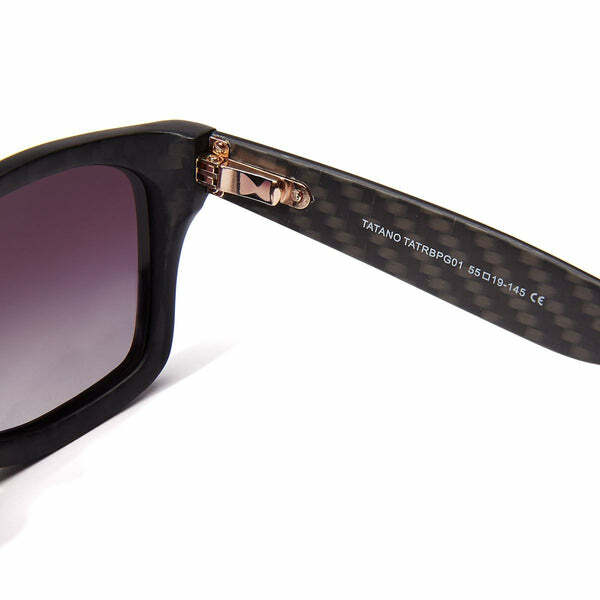 DiRocco is the name behind World's first full frame carbon fiber sunglasses. 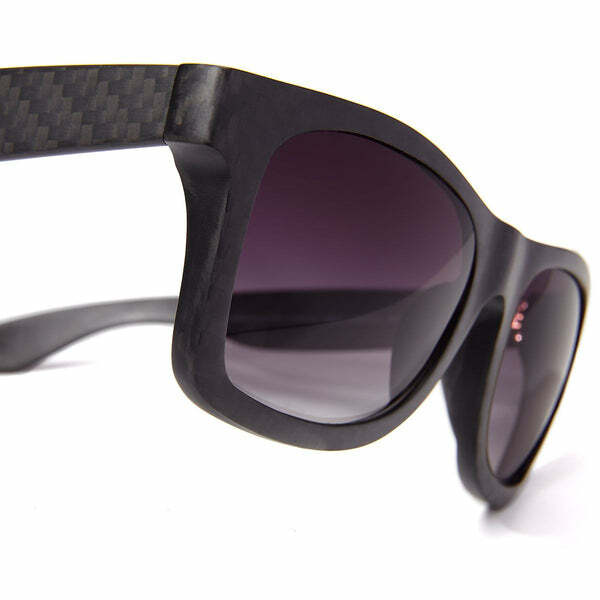 Not only everything is better in carbon fiber, there are so many other great details about these sunglasses. From the smallest screw that is used to fasten the hinges to the frames all the way to the box which they come in. 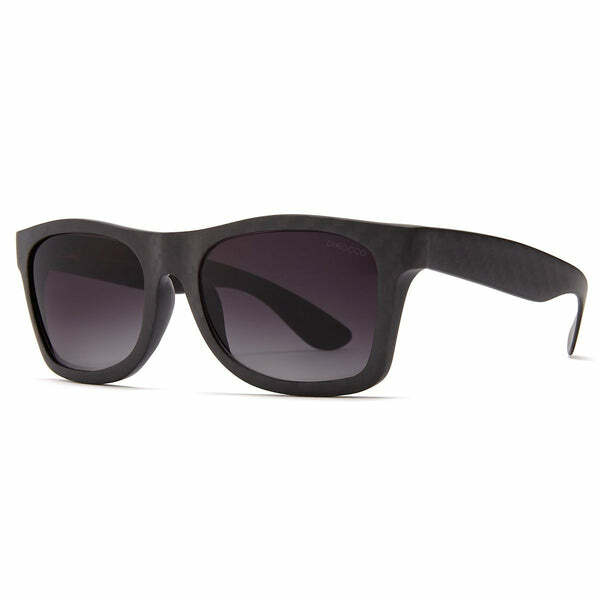 The DiRocco Tatano sunglasses feature a full carbon fiber frame. Meaning there are no fillers, it is not carbon overlay on another material, from inside out the frame us hand-laid full carbon fiber. As you know, carbon fiber is not a forgiving material to work with, it is such a difficult material when used for structural purposes that even MotoGP teams have had trouble producing frames in carbon fiber. It took DiRocco 5 years to perfect the frame. Patent pending, 5 barrel hinges that work in harmony with dynamic spring to ensure the frames never lose the snug fit. The dynamic spring allows you to open up the temples when putting the frames on for a secure fit. All DiRocco eyewear feature the top of the line Carl Zeiss CR-39 lenses. CR39 is a thermosetting plastic which was originally created to reduce weight in the fuel tank of the B-17 Bomber aircraft in World War II. This material is now used to create one of the best lenses available on the market today. 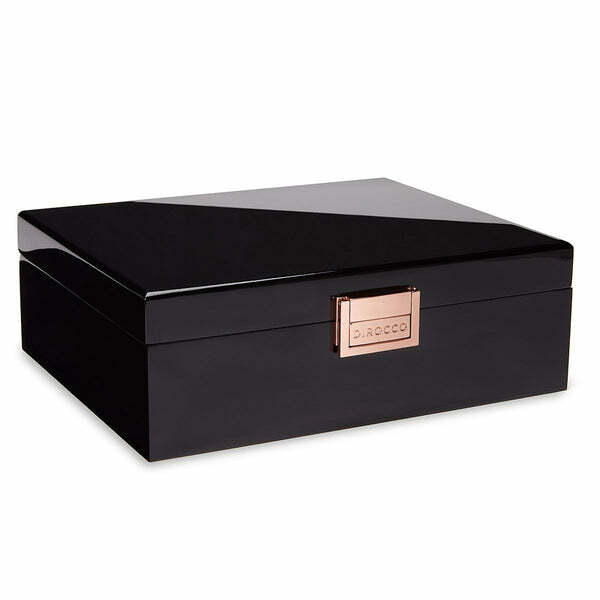 Beautiful triple lacquer piano black box which is lined with black velvet, which feature piano hinges and 18k rose gold plated buckle in the front. 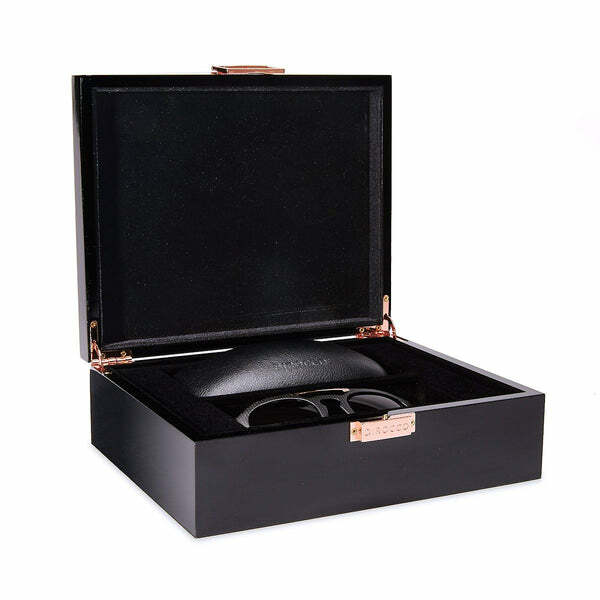 The design of the box was inspired by the Gibson Les Paul Custom guitar. - Fee shipping to USA! - Fast and affordable international shipping options are available. How long till I receive my product? - International delivery varies by location. Usually no more than 10 days. If you have any questions do not hesitate to ask or contact us directly.